How is yoga helpful for those who’ve experienced trauma? Melissa: Find out what you can about the type of yoga taught and the teacher leading the class beforehand. You can find out a lot from researching online to find what might work for you. I would also consider finding a studio that asks for permission before physically adjusting students. This can create a safer space on the mat where a survivor’s consent to touch matters. Even if she is comfortable with touch, the idea that her word counts can empower a survivor greatly. Also, always remember that you are not committed to staying in or returning to a class where you are uncomfortable. 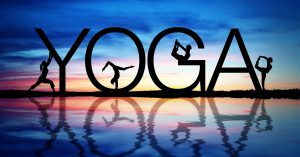 There are many different styles of yoga and yoga teaching, and it is your choice what works for you. How can yoga teachers create a safe space for those who’ve experienced trauma? How can people who’ve experienced trauma find trauma sensitive yoga teachers?